What Expenses can be claimed as "Deductible Expenses"
Repairs and insurance of Plant & Machinery, Furniture used in business or professions. Tea , coffee, rubber development account : Any amount deposited with the National Bank any amount before the expiry of 6 months from the end of the previous year or before the due date of furnishing the return of his income, whichever is earlier,— be allowed a deduction .. Expenditure on scientific research : any expenditure (not being in the nature of capital expenditure) laid out or expended on scientific research related to the business. Revenue Expenditure incurred by the assessee himself : If the assessee himself carries on Scientific Research and incurred Revenue Expenditure which must relate to Business is allowed as Deductions. Contribution made to Outsiders : Where the assessee makes contribution to other Institutions for carry on scientific research for this purpose, a weighted deductions is allowed which is equal to 1 ¼ times of any sum paid to a scientific research association or to a university, college or other institutions. Expenditure on acquisition of patent rights or copyrights : Any expenditure of a capital nature incurred on the acquisition of patent rights used for the purposes of the business after the 28-02-1966 [but before the 1-04-1998], be allowed for each of the relevant previous years, a deduction equal to the appropriate fraction of the amount of such expenditure. Amortisation of certain preliminary expenses : This Deduction is available to Indian Company or a resident non-corporate assessee. A foreign company even if it is resident cannot claim such Deduction u/s 35D. the assessee shall be allowed a deduction of an amount equal to - one-tenth (1/10 th. ) of such expenditure for each of the ten successive previous years beginning with the previous year in which the business commences or the new [industrial] unit commences production or operation. Amortisation of expenditure in case of amalgamation or demerger. : The Tax payer is an Indian company and incurs any expenditure, on or after the 01-04-1999, wholly and exclusively for the purposes of amalgamation or demerger of an undertaking, the assessee shall be allowed a deduction of an amount equal to..
- one-fifth (1/5) of such expenditure for each of the five(5) successive previous years beginning with the previous year in which the amalgamation or demerger takes place. Deduction for expenditure on prospecting, etc., for certain minerals : This Deduction is allowed only in case of an Indian company or a resident person (other than a company) and it is not available to Foreign Compnay. This Section provides for the amortization of expenditure incurred after the 31st day of March, 1970 wholly and exclusively on any operation relating to prospecting for the minerals or group of associated minerals or on the development of amine or other natural deposit of any such minerals or group of associated minerals. 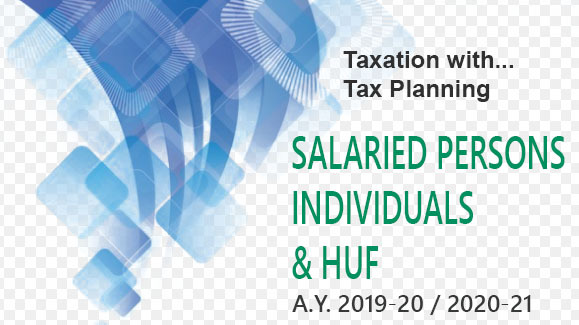 The Deduction shall be allowed for each one of the relevant previous years a deduction of an amount equal to one-tenth (1/10) of the amount of such expenditure. f. Employer’s contribution towards a Recognised Provident Fund (RPF) or an approved superannuation fund. g. Employer’s contribution towards an approved Gratuity Fund created by him for the exclusive benefit of his employees. h. The amount of any Bad Debt or part thereof which is written off as irrecoverable in the accounts of the assessee for the previous year. (aa) Expenses incurred in providing freebees to Medical Prectitioner by pharmaceutical and allied health sector Industry. (g) Managerial subsidy paid in connection with setting up of consumer co-operative stores for industrial workers. (p) Customary Laga contributions paid to trade associations for utilisation for charitable purposes. (u) Professional tax paid by a person carrying on business. (y) The amount of broken period interest paid by the bank cannot be claimed as allowable deduction from the income of the bank. Condition-1: The expenditure should not be of the nature described under section 30 and 36. Condition-2 : It should not be in the nature of capital expenditure. Condition-3 : It should not be personal expenditure of the assessee. Condition-4 : It should have been incurred in the previous year. Condition-5 : It should be in respect of business carried on by the assessee. Condition-6 : It should have been expended wholly and exclusively for the purpose of such business. Condtion-7 : It should not have been incurred for any purpose which is an offence or is prohibited by any law. Note : Any payment above Rs.20,000 should be made by Account Payee Cheque/DD. Otherwise, 20% of such expenditure will be disallowed subject to exceptions.